Are you trying to raise money for a startup? Do you wish you had a little extra cash to help you complete a project or develop a new product? One of the most frustrating things you can do is try to get a small business loan from a bank, or try to convince someone with venture capital to invest to get involved. Not only is it difficult to raise the funds this way, but you lose some measure of control over your business effort. The bank may require you to make changes to qualify for funding, and a VC investor will want a piece of the action — and possibility some level of control. If you want to retain control of your idea, and if you want to raise the money to boot, try crowdfunding. With crowdfunding, you take your idea to the masses. People can choose to help you fund your business in exchange for perks. Take my friend David’s Indiegogo project, Tawki. This is a new social video channel designed to help you create professional-looking videos to promote your business — and you can do it at a portion of the cost of hiring a production company. If you believe in the Tawki project, and think that your business could benefit from affordable video marketing, you could contribute. There are lower levels of contribution, which allow you access to less desirable perks, often just a simple “thank you.” However, as you are willing to contribute more, you get better perks, like access to beta, free social media promotion, and a free premium account for a year. With my own Indiegogo project, a book about professional blogging, the ebook level support price essentially functions as a discount. You get a better price for supporting the project (making it a pre-order) and you get a couple extra freebies thrown in. Crowdfunding isn’t just about raising funds, although that’s a big part of the appeal. Running your crowdfunding campaign can also help you create buzz around your product or service. If you are creating a product, then you generate pre-orders, and you can generate more excitement for the product. Part of marketing is creating familiarity. If you make use of crowdfunding, you can boost your ability to get the word out, and make your product, service, or business more familiar to more people. 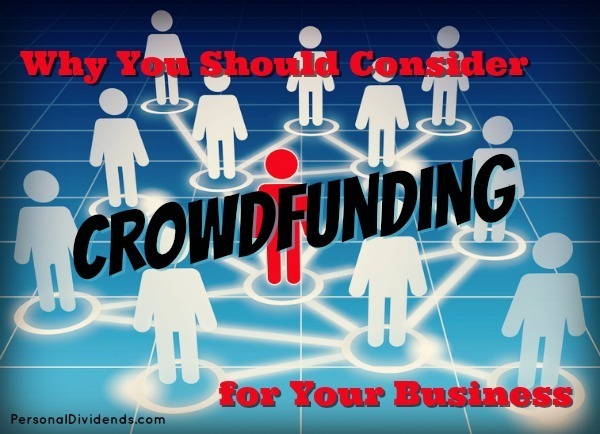 Even if they don’t support your crowdfunding campaign, you might seem familiar to them because members of their networks participated, or shared something about it. That can mean more sales (without the need to offer perks) down the road. The great thing about today’s technology is that it is changing the way we do things. It’s easier than ever for an entrepreneur to start a business, and to be successful. You aren’t at the mercy of a few decision makers for your funding. Instead, you can take your proposal right to your target market and get help for your business that way. Have you ever attempted crowdfunding? How did it work out?